As a parent I have spent countless hours and dollars trying to ensure my kids' health and safety. Whether by installing car seats properly, serving a healthy diet, providing proper safety equipment for sports and recreation, or modelling behaviour like wearing a helmet, the goal was always the same. Now that my kids are teens and learning to drive I feel that diligence in regards to their safety is even more important. Understanding the rules of the road, eliminating distractions, properly adjusting seats and mirrors, and having insurance with proper coverage is vital. Driver's Ed and practise are both important parts of the learning process, but equally important is the vehicle. It doesn't matter if the mirrors are adjusted to minimize blind spots if the vehicle is not safely maintained. 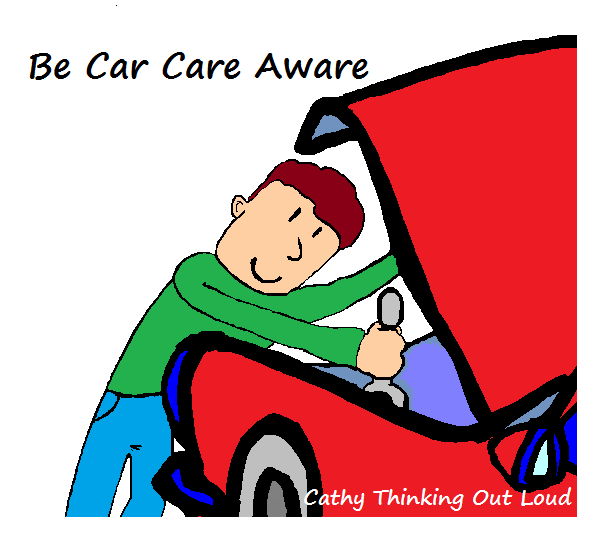 Ensuring your vehicle is safe for you and your family is what Be Car Care Aware is all about. Twice a year in May and October the AIA (Automotive Industries Association) and its partners run Be Car Care Aware campaigns aimed at raising awareness on the importance of regular vehicle care and maintenance, and the role it plays ensuring safe roads and the safety of your family. This information is particularly important to new drivers and those considering their first vehicle. Regular maintenance and seasonal checkups help to ensure the vehicles my kids drive are safe, and minimize the likeliness of breakdowns than can potentially lead to an accident or my kids stranded at the side of the road. Our safety plan includes a review of the rules of the road, ensuring the emergency preparedness kit is complete, and inspection after the long cold winter. You'll find the Be Car Care Aware blog has useful maintenance tips and information. 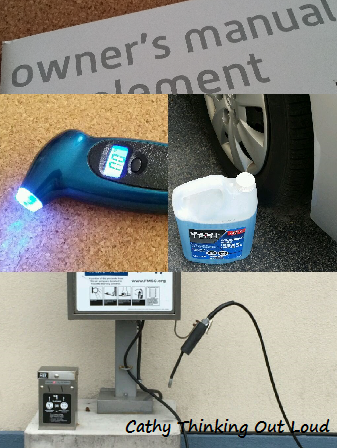 Review vehicle owner's manual & maintenance schedule. Breaks: inspected & in good working order. Fluids: topped up with season appropriate fluids. Wiper Blades: in good condition & working order. Seat Belts: checked to ensure all are working properly. Insurance Information & Emergency Contact Numbers are complete & easily accessible. Emergency Preparedness Kit: is complete with season appropriate items. Spring is a perfect time to wash & detail your car both inside & out. Lastly as a parent it's my job to ensure my kids are financially literate, and helping them understand operating a vehicle is never just about the initial cost is a great way to teach them money management. Our family vehicles are investments we rely on and using them is a privilege not a right. Although it may be many years before my kids are ready to buy their own cars, it's important they understand what the ongoing cost associated with operating a vehicle are, and budget for insurance, regular maintenance and repairs. A time investment to research consumer reviews, financing and insurance options and maintenance for a vehicle can add up to big savings over the long run. What steps will you take today to make yourself and your teens more Car Care Aware? Yep, just me Cathy thinking out loud about Being Car Care Aware. Note: This post was a collaborative effort with my friends at Lowest Rates to increase awareness on the important of regular car care and maintenance. All opinions are my own. What a family looks like is not important, what matters is the relationships, and connections that tie those individuals together and make them a unit. Maybe that's why I enjoyed the new Netflix Original, Grace and Frankie so much. There is fighting, laughing, crying and more laughing between the characters. You see how them soften and become more accepting of themselves and others. The relationships are definitely messy and the bonds bend but don't break. Families like people come in all shapes and sizes. Two other shows with interesting family dynamics are: The Riches, and The Almighty Johnsons. As you all know, "What's Good to Watch?" is a common question amongst my friends and family, and the reason why I share movie and show recommendations on Cathy Thinking Out Loud every Wednesday (aka #W2WW). This week's recommendation is Rectify found on Netflix Canada. The characters in this series are diverse and complex, and they are sure to make you think and maybe rethink your views on life, faith, and justice. The acting is outstanding! The slow pace of the first episode gives you a feel for the characters and pace of small town life in the south. Don't let that fool you, the plot thickens, and suspense builds with each episode. 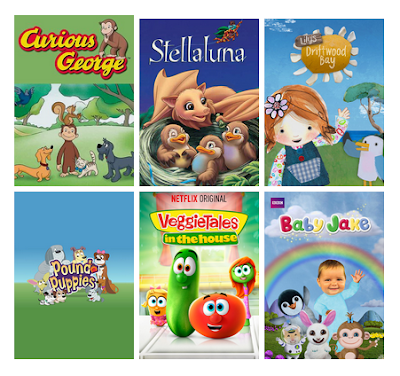 Note: This is not a series for the kids, due to the subject matter. 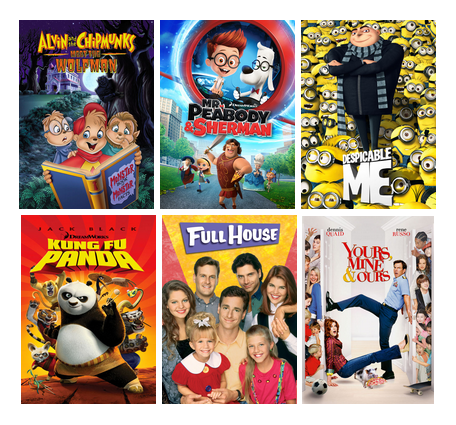 This is my 40th What to Watch #W2WW post! I'm so excited to celebrate this milestone by sharing a new Netflix Original series: Grace and Frankie! As you all know, "What's Good to Watch?" is a common question amongst my friends and family, and the reason why I share movie and show recommendations on Cathy Thinking Out Loud every Wednesday (aka #W2WW). This week's recommendation is Grace and Frankie found on Netflix Canada. Hard to go wrong with a comedy starting Jane Fonda, Lily Tomlin and Martin Sheen, but then add in the hilarious script and circumstances and you have a hit on your hands. I love the character foils of the different personalities and relationship styles in this show! It is interesting how "ready for retirement" Grace and Frankie relate differently to modern technology, dating and social media. Grace and Frankie gets two thumbs up from me! 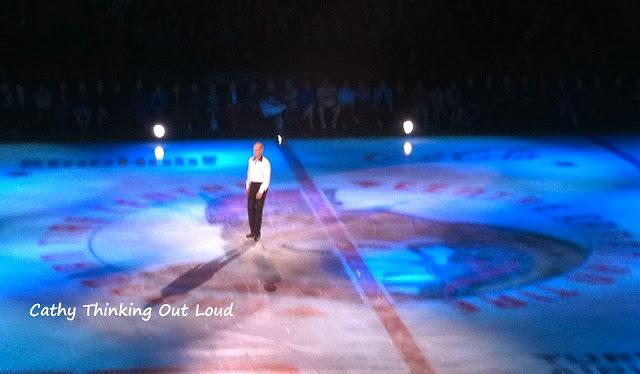 This is the 25th Anniversary of Stars On Ice, and the performance did not disappoint! Being a mother of teen boys sometimes I need some girl time, and for a second year in a row I was delighted to have Lindsey and her friends accept my invitation to see Stars On Ice. 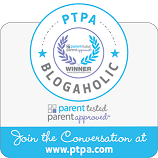 And this year Lindsey has agreed to do a small guest post and share her experience with my readers! "Wow! what an amazing experience! 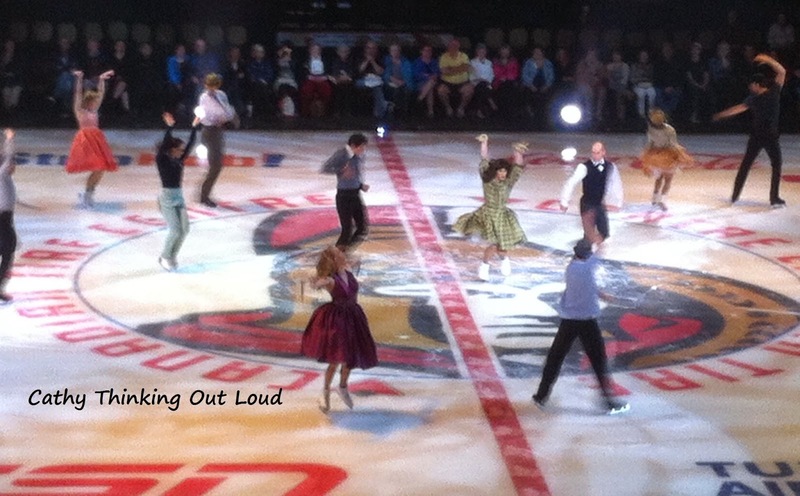 The skaters were magnificent. 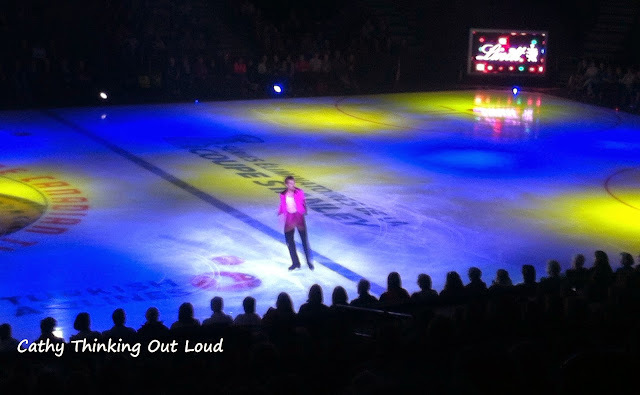 My favourite part was definitely Tessa and Scott's second performance. It was so fun and entertaining and caught my attention fast. The performance had a ton of extremely cool moves like when Tessa flipped over in Scott's arms and landed perfectly. The whole show was outstanding and great for the 25th anniversary. I hope I get to see the stars perform again, they were so breathtaking." Jergens Canada wants to celebrate the 25th Anniversary of Stars On Ice, and help one lucky reader look like a star with a giveaway of some of their most popular products! The prize is an incredible collection of items perfect to make your skin glow and you inner beauty shine all summer long. 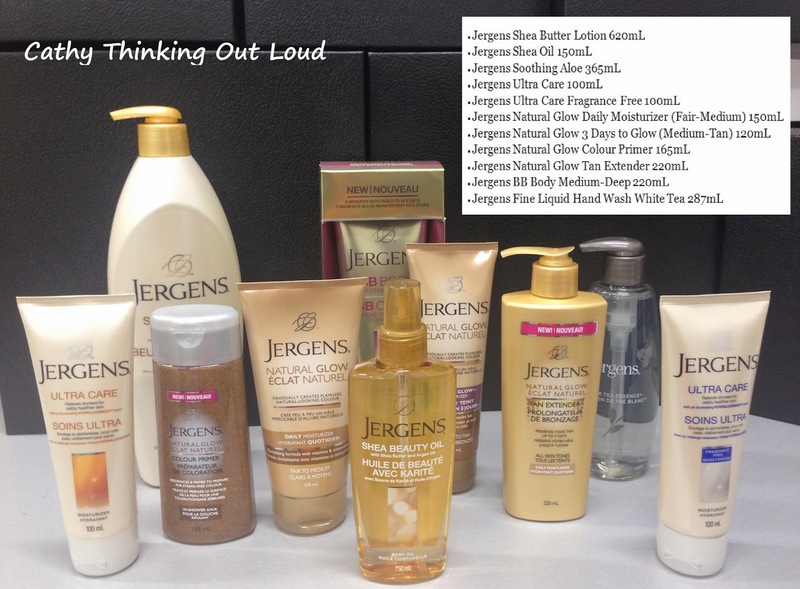 I personally love the Jergens Natural Glow Daily Moisturizer. 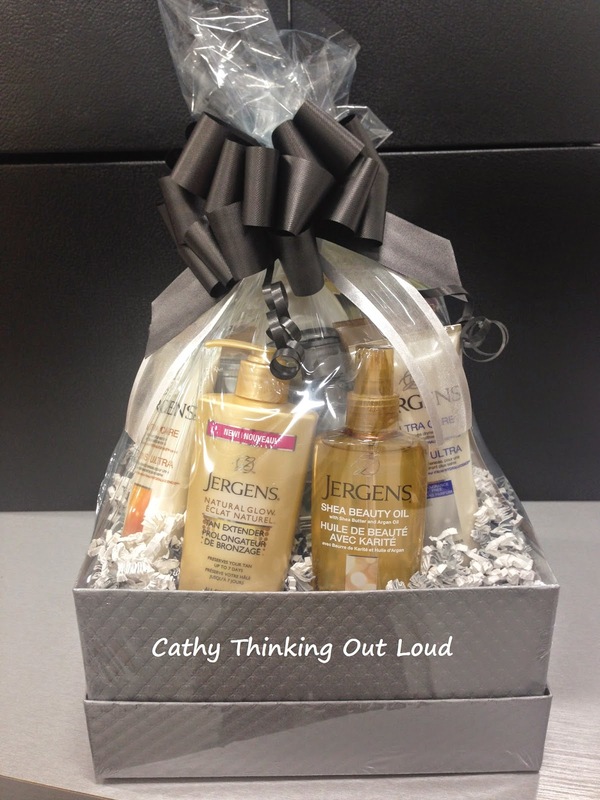 For more information about Jergens Canada and their products follow them on facebook and twitter. 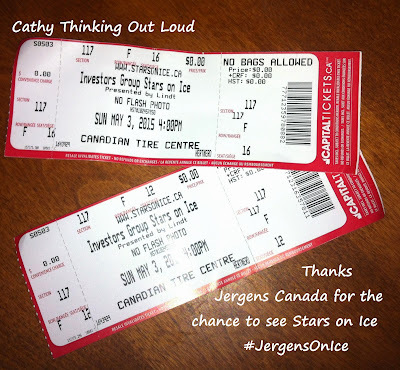 Yep, just me Cathy thinking out loud about #JergensOnIce. 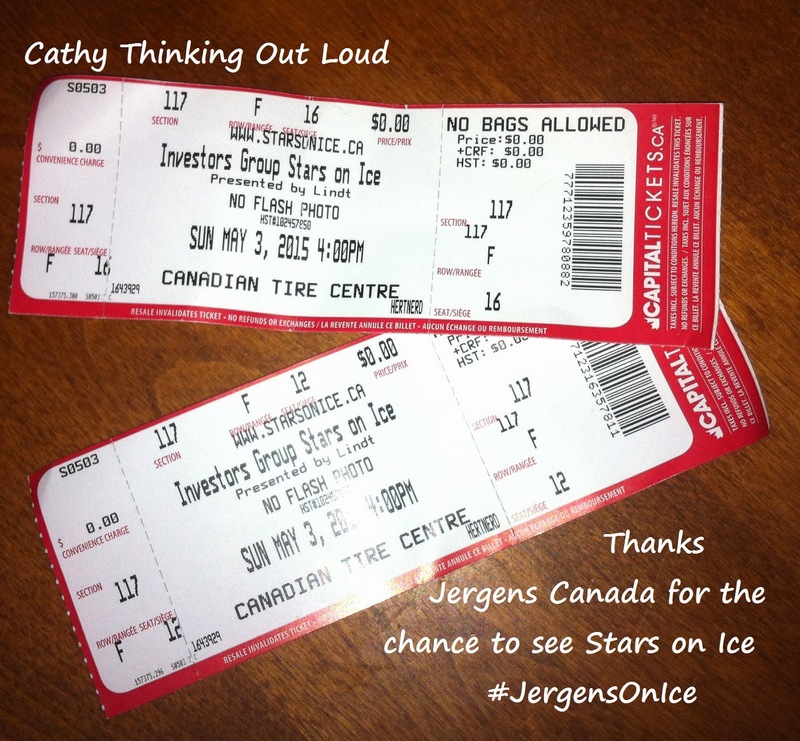 Note: I received tickets for the Stars On Ice performance and a selection of Jergens product. All opinions are my own. Ever Feel Like You Just Need to Get Your Zen On? I have to admit the last couple of weeks have been hectic, filled with appointments, obligations, unexpected car breakdowns, and life. The snow is gone and the sun is out and all I want to do is block out all the busy life stuff and have a day to relax and do what I refer to as "Getting My Zen On". On my recent visit to Tay River Reflections MediSpa, I found it to be a perfect location to rejuvenate with some pampering and relaxation. Feel the stress and tension leave your mind and body as you enjoy the warm water of the hot tubs. 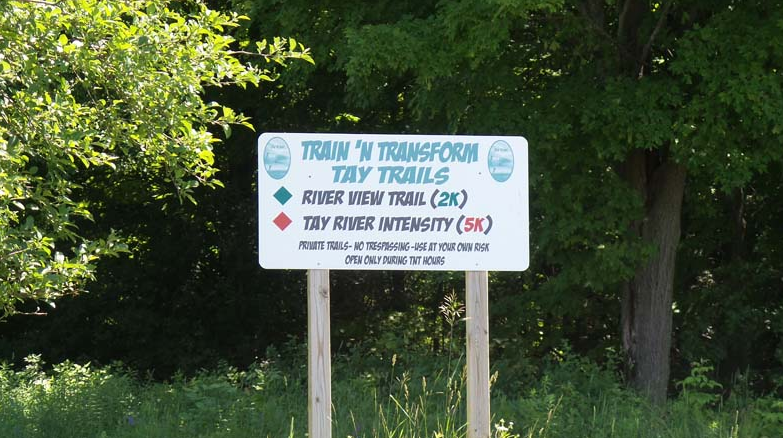 There goes more stress and tension as you become one with nature on the Tay River Trails . 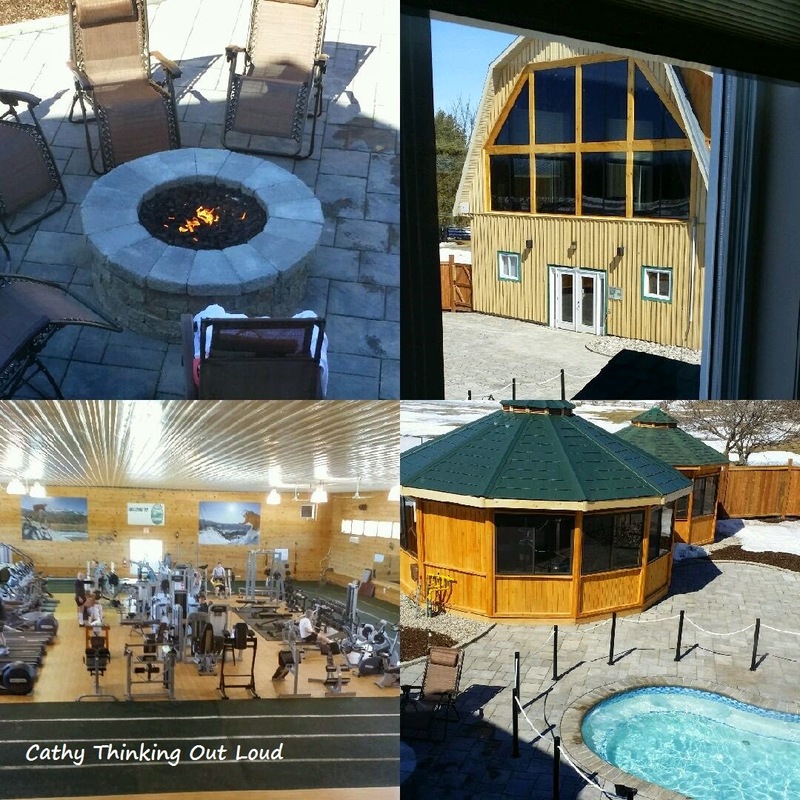 Tay River Reflections MediSpa & AQUA thinks we should all have a chance to recharge in a Zen-like atmosphere, and they have been kind enough to offer one lucky Ontario reader and guest a chance to spend a day enjoying their walking trails, AQUA and fitness facilities. You can find Tay River Reflections MediSpa & AQUA on twitter and facebook. And should you find yourself visiting Perth, Ontario, be sure to check out the Perth Chamber of Commerce Calendar of Events and the Perth Visitors Guide. Yep, just me Cathy thinking about Getting My Zen On...A-U-M. Note: I was not compensated for this post. It's purpose was merely to share this opportunity with my readers. All opinions are my own. This is a common question amongst my friends and family. So I thought I'd share movie and show recommendations on Cathy Thinking Out Loud every Wednesday (aka #W2WW). I just started to watch a 4 part mini-series on Netflix Canada called Fleming: The Man Who Would Be Bond. Set in WWII England the series is based on the life of Ian Fleming, the would be author of the James Bond novels. Although I can't vouch for the accuracy of the series, I did enjoy it none the less. Teaching our children about financial literacy goes hand in hand with saving for their post-secondary education and RESPs. Saving for our children's education is a priority; without a plan the rising costs of post-secondary education could leave them with crushing debt that takes years to pay off. It's important my kids truly appreciate this gift and to do that they need to understand exactly how we saved, how much we saved and what we chose to forgo in order to contribute to their RESPs. If our kids have not learned to properly manage their education savings, then we as parents have missed a big step in the process. Spending is the opposite side of the "coin" to saving and kids need to understand both to properly manage their money. Lessons about money management and saving for their education should start early and be part of a child's daily life. 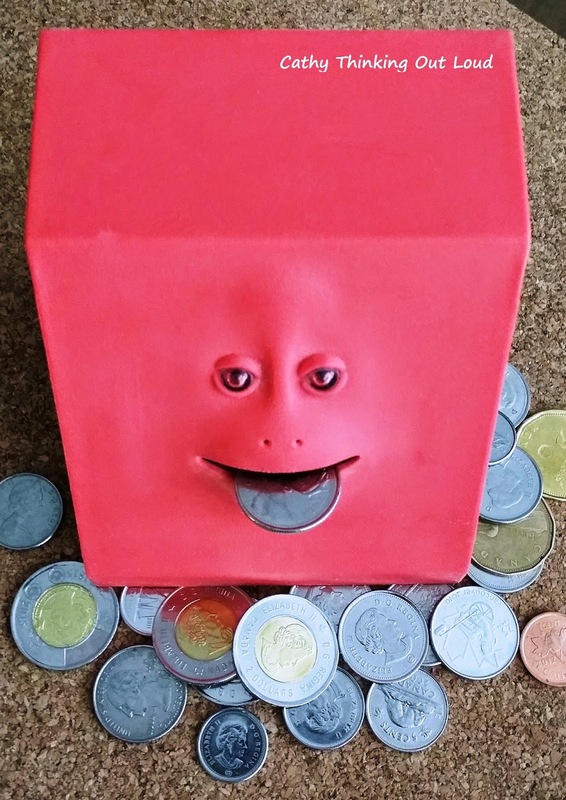 There are lots of ways to teach kids about money sense and financial literacy at all ages. Giving them a choice and comparing options teaches them that numbers can be broken down into smaller parts, to compare parts, and the concept of saving for later. You can have three pieces of licorice or one bowl of ice-cream. You get one soda on the weekend and you decide when, but if you have it all Friday night there will be none left for later. You get 2 hours of screen time on the weekend. You decide how you use it; all at once or 4 half-hour portions. Now they are ready to learn the value of actual money. This is a good time to open a bank account for them that they are responsible for. We always had two, their account and the "special account" where large money gifts went. These funds required parental approval to access and spend. Money in their account was theirs to manage, which included allowance and a small portion of the money gifts. Talk to your child about something they really want, how much it costs, and how long it takes to save for it. Make a written savings plan that includes regular progress checkups. They will learn about saving and planned purchases rather than impulse buying. Just because you have money doesn't mean you have to spend it. Each time your child asks for something point out the cost in a currency they understand. For example: 1 fast food drive thru = the cost of 2 packs of Pokemon cards, or 1/2 the cost of a skateboard or video game. 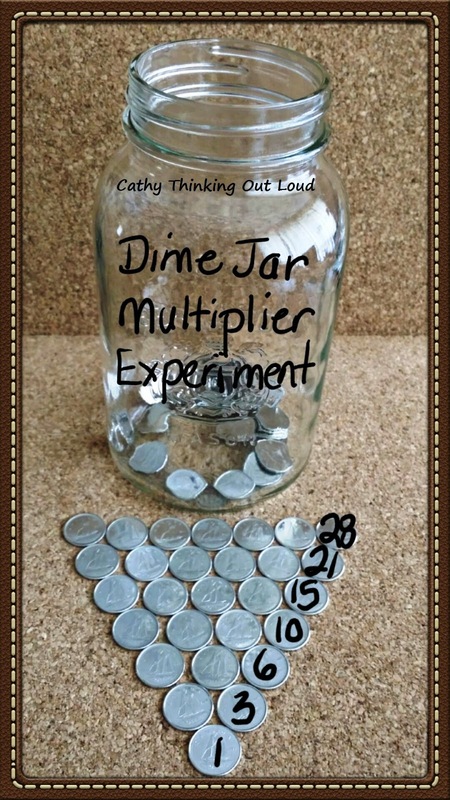 Dime Jar Multiplier Experiment: Make a chart numbered 1-30 indicating the day in numbers. Each day put that number of dimes or buttons or marbles into a jar. E.g. : Day 1 - 1 dime, Day 2 - 2 dimes, etc. Count the dimes in the jar on the 30th day. Explain that this is similar to what happens to RESP money you save for their education. It multiplies over time. Now is the time to ramp up the financial literacy learning. By middle school our kids had their own bank account and bank cards. Allowances were auto-deposited every two weeks like a pay cheque and the "Bank of Mom" was closed for business. No more borrowing against future allowance, or birthday money. Have kids keep a "Cheques and Balances" sheet of spending and savings for their account, and explain the concept of debits and credits. Keep balance sheets and receipts in a binder to be balance once a month. Take them grocery shopping and only buy items on sale and/or you have a coupon for. Explain the increased saving of both being on sale AND applying a coupon to a purchase. The CESG for RESPs increase savings in a similar way. Even better have your kids look at flyers, and coupons to create a meal plan and grocery list before going grocery shopping. Then calculate saving from planned purchases of sale items and/or coupon use. What percentage of the total bill did you save? Calculate the annual savings if the amount saved on the grocery shopping trip was saved each week. Then calculate the total contributions if that amount was deposited to an RESP annually over 18 years. Even without the multiplier effect it adds up! Once your child has read a bit about what an RESPs is get your child to make their own education savings plan with SMART goals for the expenses you have agreed they will be responsible for. This may include a new RESP or just contributions to an existing RESP. After each lesson and stage, sit down with your kids and use what they have learned to discuss the importance of having a plan and starting early to save for their education and RESPs. You can find several useful links to information about RESPs and post-secondary education savings in my post: RESPs and Saving for Your Kid's Post-Secondary Education. 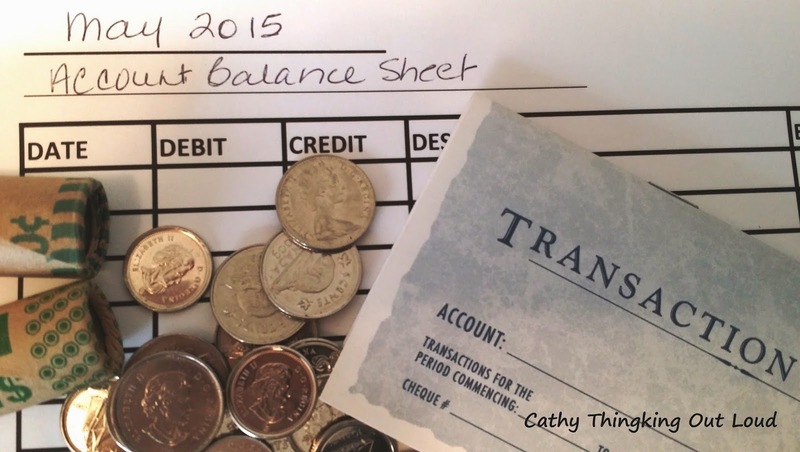 Yep, just me Cathy thinking out loud about financial literacy and RESPs. Note: As a Heritage Mom I was compensated for this post, and sharing my thoughts on RESPs and saving for post-secondary education. All opinions are my own and reflect my personal experience saving for my kids' education.